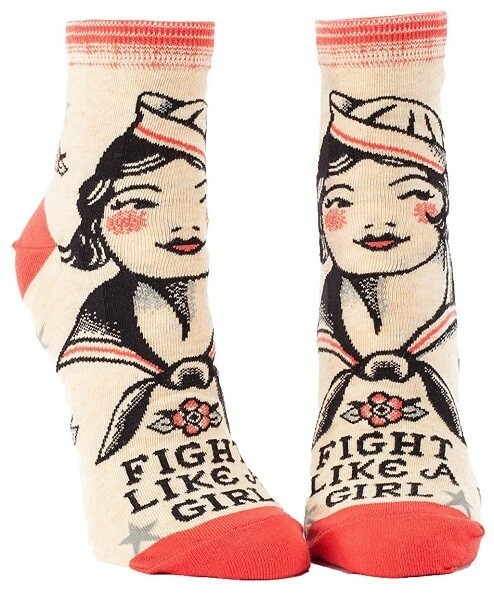 Don't forget when you're out there... if you're going to fight, fight like a girl! 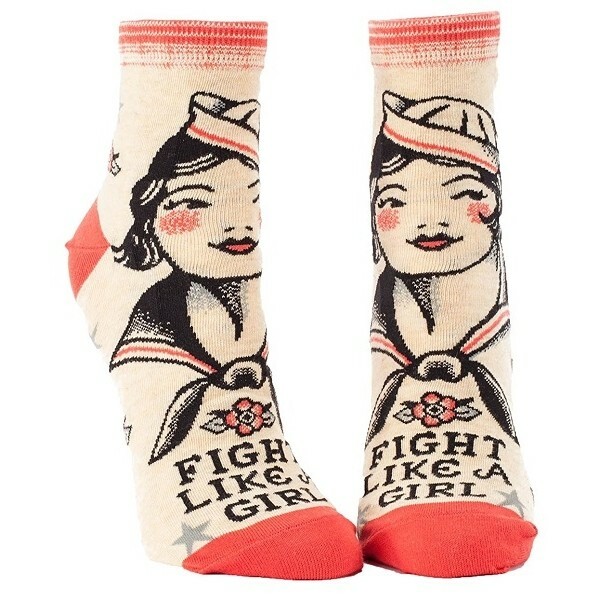 These cotton/polyester socks feature a colorful image of a woman in a sailor's uniform and a bold quote at the toe. These socks even come with a special helicase ring for the wash so that you never end up with a missing sock! Available in one size which fits most women's shoe sizes 5 - 10.